When it is announced in the coming weeks, the new iPod touch will be a "very minor change," MacRumors reported on Tuesday. In addition to a new white model, the hardware will reportedly receive an oleophobic coating on the display and a revised ambient light sensor. The report reaffirms details shared by analyst Ming-Chi Kuo with AppleInsider in July, when it was first reported that a white iPod touch will launch this year but the hardware will remain largely the same as the device Apple released in 2010. The iPod now represents about 5 percent of Apple's revenue, and the majority of that comes from the iPod touch, which accounted for more than half of the 7.54 million iPods Apple sold last quarter. Kuo also revealed last week that the new white iPod touch will use a different lamination process than is used for the iPhone. As a result, the new white iPod touch will look "a little different" than the white iPhone, he said. Author Arnold Kim added on Tuesday that the new iPod touch models are expected to arrive the first week in October, and are likely to go on sale in the middle of the month. He also said that the iPod nano will receive a "minor revision." The report also added that Apple is expected to release the Golden Master build of iOS 5 on Sept. 23, one day after the company will reset iCloud data for developers testing the pre-release software. That date also aligns with what Kuo told AppleInsider last week. Apple's own beta software of iOS 5 has provided evidence that this year's iPod touch refresh will be minor, as the pre-release build includes references to an unreleased iPod identified as "4,2." That suggests that a new iPod touch will not be significantly different from the fourth-generation model released in 2010, as a major hardware update would presumably carry an "iPod 5,1" identifier. 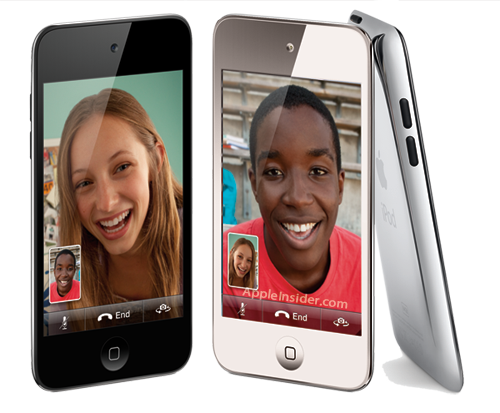 Additional evidence of a white iPod touch has been seen in the form of leaked components from overseas suppliers. They have shown a white front panel, as well as a headphone jack that would fit the new model's color scheme.